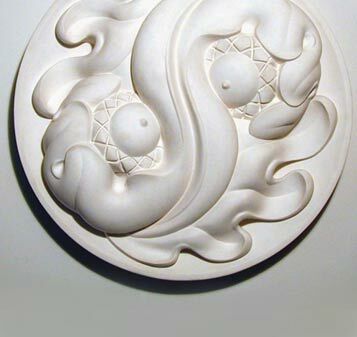 Natural Forms : Nature offers an enormous range of subject material for architectural ornament. The art form of architectural decoration can be unique, expressive, elegant, and powerful when truly integrated into building design. Hollow cast cement is a perfect material for this application. Commissioned works include a column capital for Trinity Church in Princeton, NJ and architectural ornaments on various buildings in Philadelphia, PA.